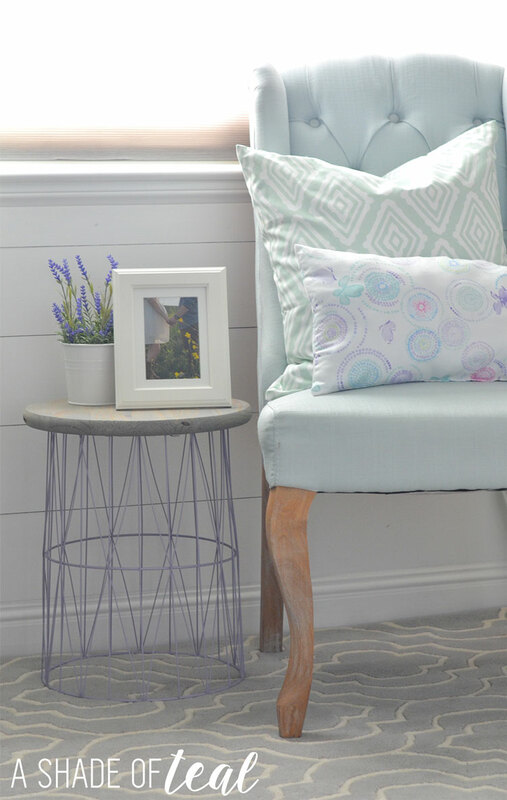 If your looking for a easy customized side table then this is the tutorial for you! 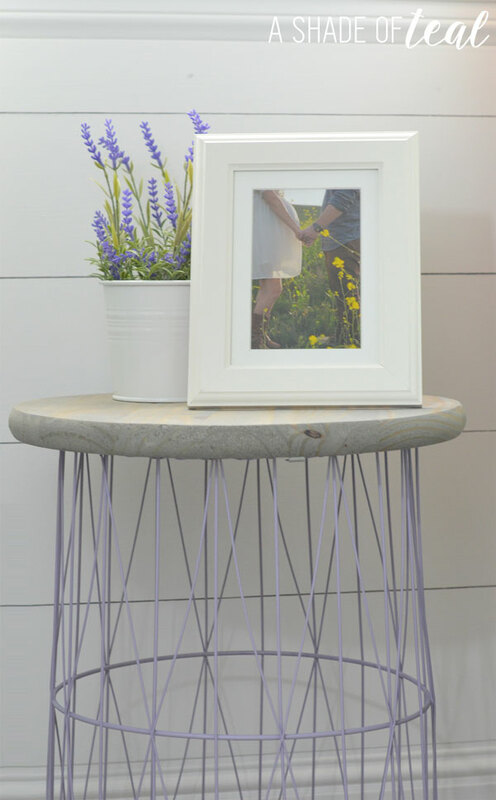 I made this side table from a wire trash basket and a piece of round wood. It’s so simple and fits perfect with my “Rustic Glam Nursery”. Here’s how to make it! Wire trash can. I found mine at Homegoods but I’ve seen some at Target or Amazon. Round Wood Board, 15in wide. I found mine at Lowe’s but here’s another option. First step is to stain the wood board. I love using the craft boards since they’re already prepped and ready to go; no sanding required. 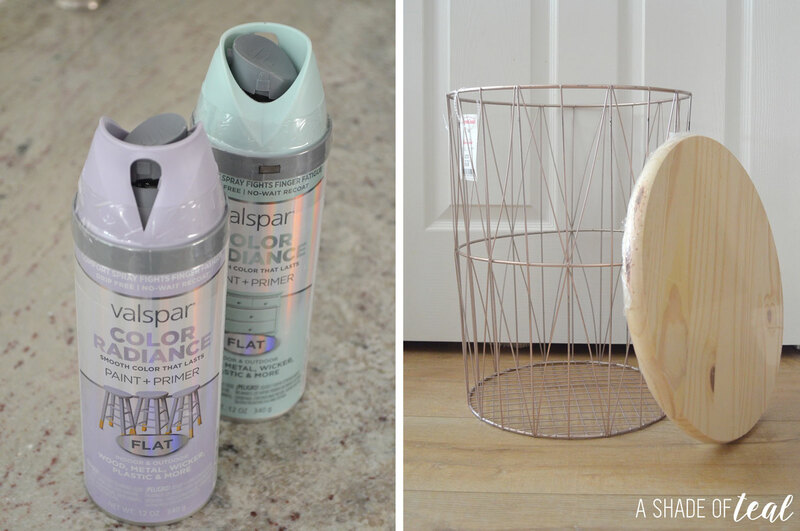 Then spray paint your wire basket. Let both dry. Next, place the wood board down and center your basket on top of it. I used 3 uneven mounting clips to fasten the wood to the basket. The clips are actually intended for handing frames or canvas on the wall. You can normally find them in a framing kit. That’s it! Such a simple DIY project that looks expensive. 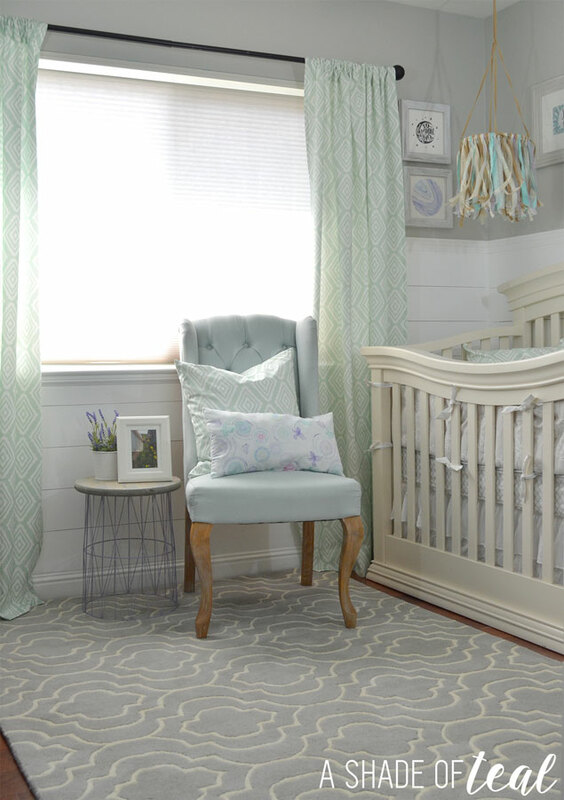 Make sure to check out my entire “Rustic Glam Nursery” HERE.